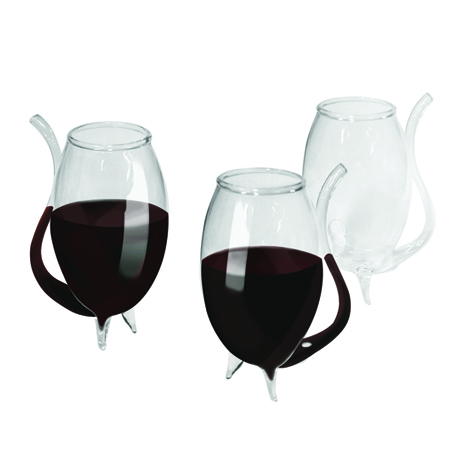 Wine Cellar Express Archives - Distributor of Fine Wine Accessories and Kitchenware Products! Beautifully Balanced Wine in Minutes! Wine Cellar Express is the only patented magnetic coaster that has been critically acclaimed by renowned wine critics, winemakers, connoisseurs, media and also received scores of consumers appreciation. Wine Cellar Express dramatically softens the harsh, bitter tannins in young red wines in much the same way that aging your wine for several years would eventually accomplish, but now you only need minutes. Customize your favorite wine to your taste and food pairing by placing the corked bottle of wine on the coaster for 15 to 30 minutes and enjoy a more palatable wine with softer, rounder feel and enhanced bouquet. The beautiful gift box contains a carved wood coaster, available in natural wood, or mahogany finish, instructions and pre-printed gift card in 6 languages. Wine Cellar Express also improves the flavor and balance in port, sherry, brandy, cognac, rum and other barrel aged spirits. A perfect gift for wine lovers that lasts a lifetime.